Shipwrecks are portals to the past and offer a unique window to a different kind of underwater world. 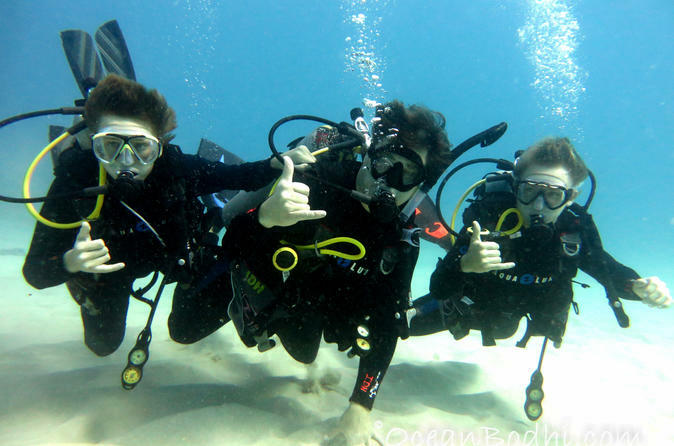 Hawaiian tropical reefs teem with diverse marine life and are breathtaking dive sites. Hawaiian sea turtles, spotted eagle rays, white and black tip Reef Sharks, and a vast assortment of unique tropical fish and eels make Oahu diving an experience to remember. It is a safety requirement that you do not fly for 18 hours after you participate in this activity; please plan your activity accordingly.